Such classic space opera shouldn't be missed. John Carter meets new Martians and has to battle new foes and old. He makes it back to Barsoom (Mars) but is thwarted in finding home and family. In the mean time he has to solve a world of problems from false gods to evil villains that just won't stay down. Classic wiring style and beautiful language you don't hear much anymore. Well worth the listen as Scott Brick has style in reading that is a pleasure to listen to. 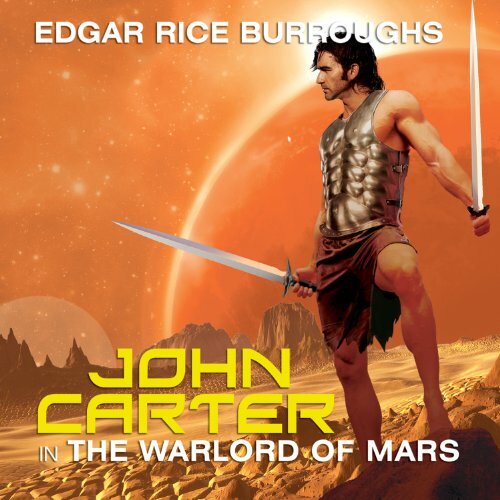 If you could sum up John Carter in The Warlord of Mars in three words, what would they be? First off, the audio performance by Scott Brick is great as usual. He does a great job at taking obviously older English words and phrases into modern understanding. Without spoiling, the book is a very linear story that has only one focus and it can get tedious about half-way through. 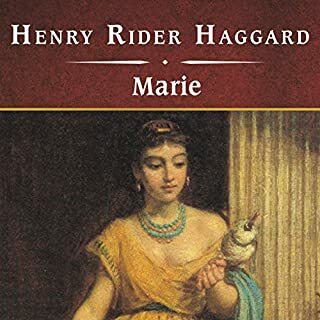 The story around the female characters could have been more developed but considering the time-frame when these books were written it makes sense as to why they weren't. The ending is quite good and earned. The different colored people of Mars are interesting and John Carter's interaction with them is a somewhat progressive story. While this book is not as great as the first two, it does tie up the story quite well and keeps you on your seat right to the very end! If you've read the first two, you should read this one as well, the second and third book should've been one book. Scott Brick's narration are the best. I finished the first three and can't imagine anyone else doing better than he does. Thanks Scott! Hope you do the rest of the series. Amazing books and wonderful performance. Burroughs and Brick make for an epic duo! Do not miss! I am a huge fan of the previous two books. They were immensely entertaining and provided me much amusement on some rather dull work days. But The Warlord of Mars kind of sold itself short. It was predictable, repetitive, and laborious to get through if I am being honest. I know the John Carter series continues on for another few books, but I don't think I will continue the saga. The ending thankfully doesn't end on a cliffhanger, and the primary story arc wraps up nicely at the end allowing this clean break. Scott Brick makes a wonderful John Carter, and he did a surprisingly great job with the material he had to work with. 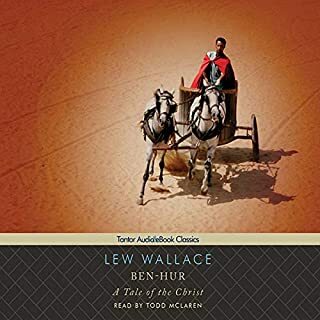 If you have read or listened the first two novels, you will definitely want to finish this one. But will you be as dissatisfied as me? Who knows. Maybe it will appeal to you more than me. For now though, I am finished with the John Carter series unless I should get a hankering in the future for some pulpy scifi. Excellent. Even on my 100th (or so) read. What did you love best about John Carter in The Warlord of Mars? This is one of the first sci-fi/fantasy novels I ever read as a kid. Since then I have re-read the entire series at least twice a year for about 35 years running. What was one of the most memorable moments of John Carter in The Warlord of Mars? The fight with the giant wasp. I doubt they'll make another JC movie. Which is a shame. I really enjoyed the one Disney did a few years ago. This is just like every other John Carter of Mars book. Contrived, repetitive, silly. Yet oh, so fun. Turn off your brain and just enjoy it. An excellent end to an amazing chapter of the story of barsoom! 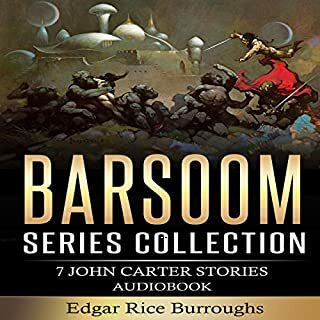 This is the end of the first half of the story of Barsoom, as John Carter and Deja Thoris find their happy ending together, and the shift of focus turns to Carthoris, their son in the subsequent books. This book was incredibly interesting, well structured, action packed, and an absolute thrill ride from start to finish! I loved this and the previous two books, and will keep them in my collection of all time favorites! 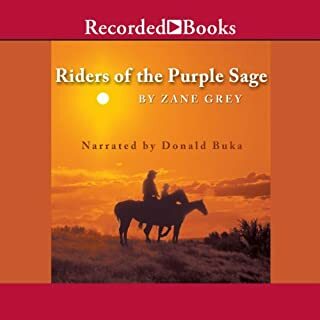 Great story, great narrator, 5 out of 5! 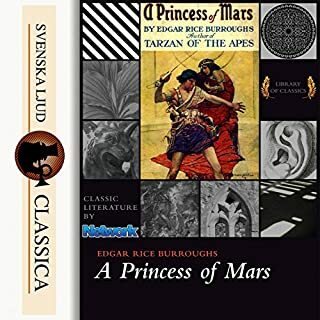 I have enjoyed Edgar Rice Burroughs's works since childhood. Scott Brick does an excellent job of bringing this story to life. 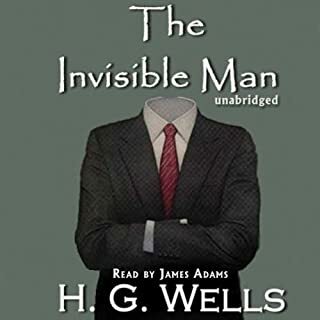 The narrator was great and in fact I think I'll choose another title by this narrator. It's no secret that I love Rice-Burroughs. Some of the plot is guessable but I found that I was so caught up in the moment that I didn't want to think ahead-draw the book out as far as possible!